Age Limit: Candidates must have ages between 18-27 years as on 27.03.2014. Scale of Pay: The pay scale for PA/ SA posts will be of Rs. 5200-20200 with a grade pay of Rs. 2400. The initial gross salary will be Rs. 18000 including DA, HRA and other allowances as per Govt. of India norms. Essential Qualification: Candidates must have passed 12th standard or 10+2 exam or equivalent from a recognized Board/ University with English as one of the compulsory subject. Candidates are required to online through the website www.pasadrexam2014.in. The online application will be started from 26th February, 2014. 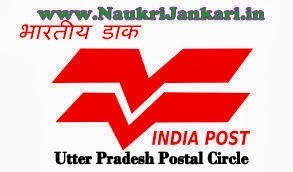 0 comments for " UP Postal Circle Recruitment 2014 for PA/ SA "